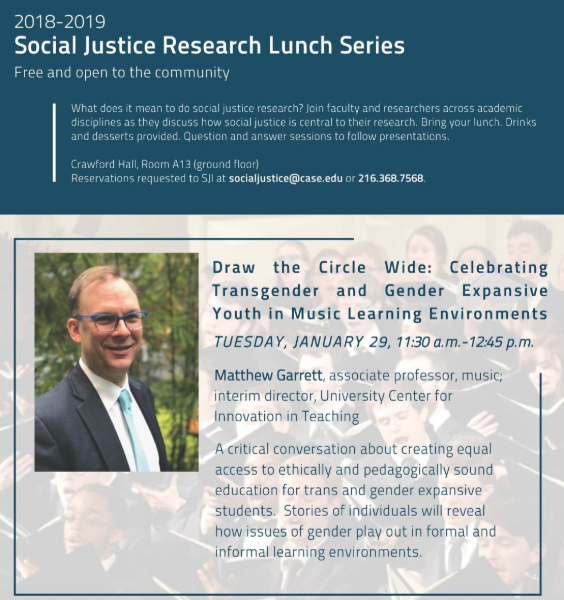 A critical conversation about creating equal access to ethically and pedagogically sound education for trans and gender expansive students with Matthew Garrett, associate professor of music. Bring a lunch; drinks and dessert provided. Free and open to the community. Registration requested to SJI at socialjustice@case.edu or 216.368.7568. What does it mean to do social justice research? Join faculty and researchers across academic disciplines as they discuss how social justice is central to their research. Click here for more information.